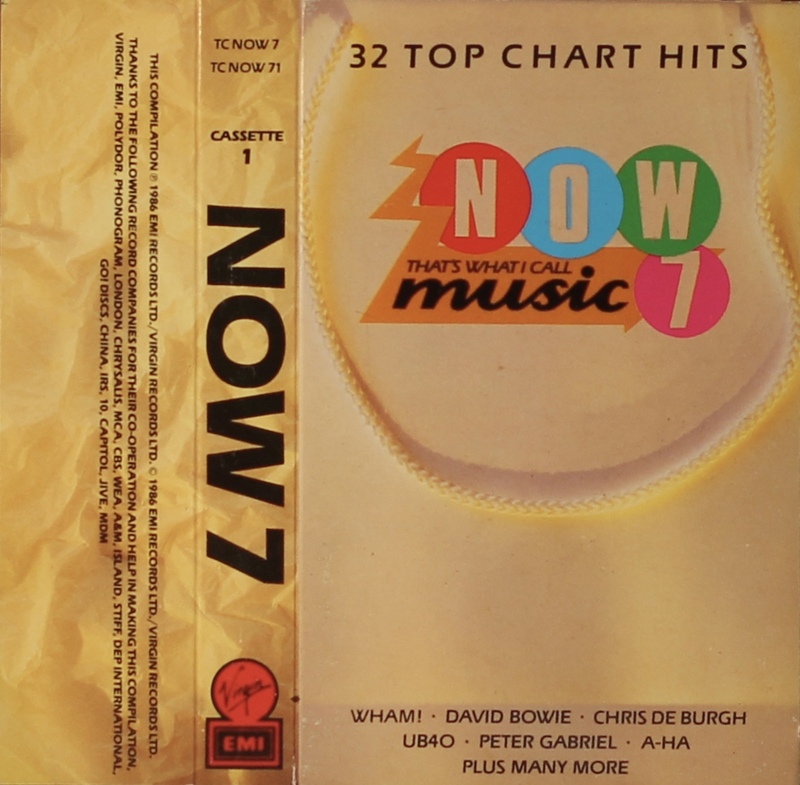 Now That’s What I Call Music Volume 7: UK; Virgin/ EMI, TC NOW 7; 1985. Glossy paper all-picture panels with track list on inside panels. 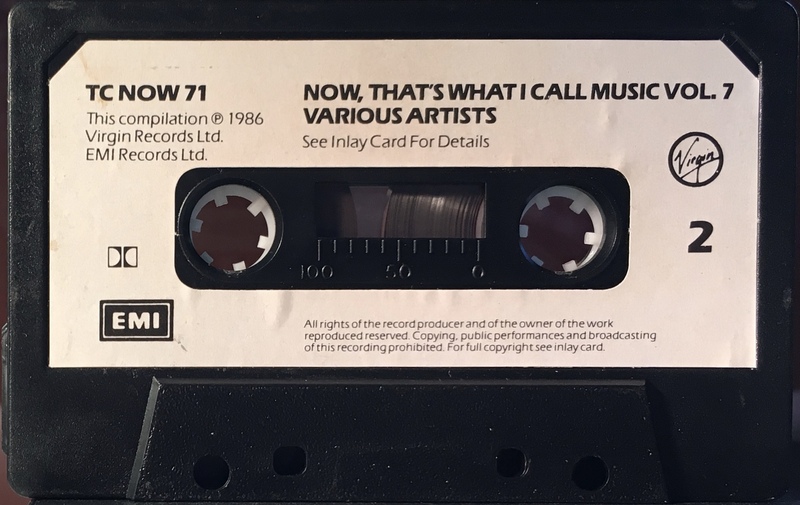 Two cassettes in an fat-box. David Bowie performs on one track: ‘Absolute Beginners’. Black ink printed onto white label onto black shell.